The irritating thing about getting older is that it starts to show, first slowly, then it speeds up to the pace of a Roadrunner or Speedy Gonzales (and if you don’t get those references then there’s no hope for me). The older we get, the more we seem to concentrate on looking for those fine lines and wrinkles – the irony is probably that worrying about the wrinkles may end up causing more. The issue we all face is that modern living actually causes premature aging: the food, alcohol, smoking (if anyone still does that) all influence how our skin turns out. Then there are environmental issues such as sun damage, dry air, and pollution that also speeds up the process. 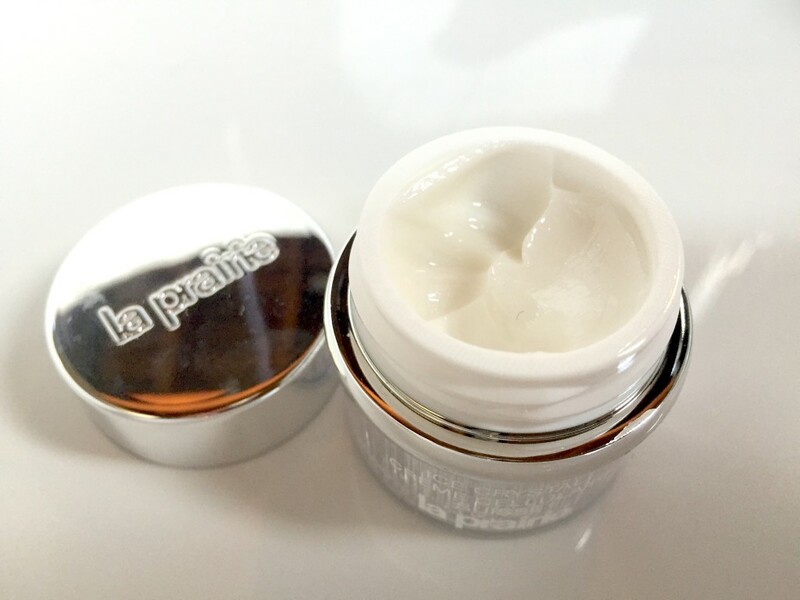 It seems that everything is working against us, but there are products out there that are specifically formulated to counter the environmental influences – and one such brand that does it brilliantly is the Swiss luxury skincare brand La Prairie. 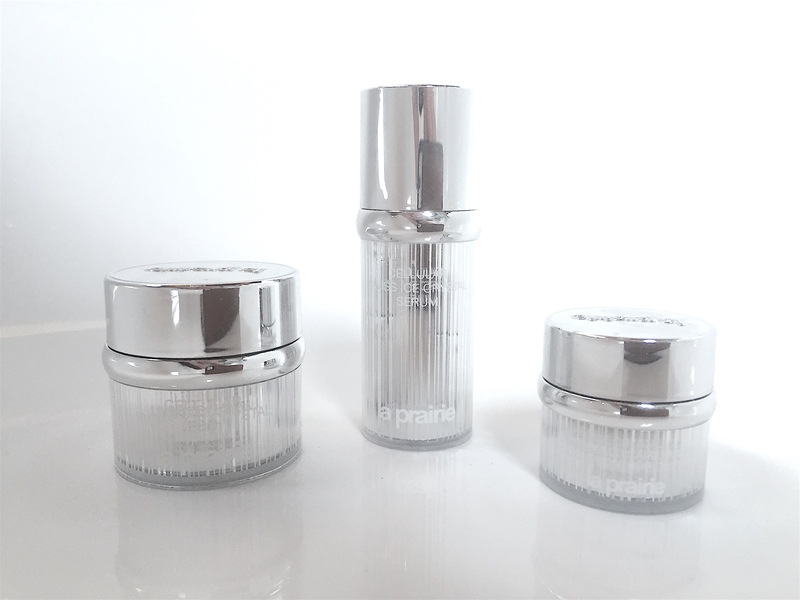 La Prairie’s Swiss Ice Crystal collection includes a very special ingredient called the Swiss Ice Crystal Complex. Very high up the Swiss Alps are three plants that withstand the associated extremely harsh conditions – Soldanella Alpina, Purple Saxifrage, and snow algae. They have extracted the protective elements of these plants and combined them to form the complex, which forms the basis of the Ice Crystal collection. The collection is meant for those who are showing the first signs of aging – when small lines start to develop and the skin starts to become less bright and fresh. In our modern times, that could be as early as your early twenties. They believe that our skin should be able to adapt quicker, faster, and with greater resilience to fight the first signs of aging / premature aging. I was very lucky to receive a few of these products to trial, but I must stress that these products fall within the super-premium range, meaning that they will not be found just anywhere (you may find the in the very premium retail stores – Edgars or Stuttafords, and in high end day spas like Life Day Spa), and because of the amount of science and development involved in the formulation of these products, they do not fall within the usual skincare price range. After all, if you want the best then be prepared to pay for it. First up is the Cellular Swiss Ice Crystal Serum. I am a huge believer in serums, and have tested many, many before. To recap, a serum is a skincare product that is applied after cleaning and before a moisturizer. The intent of a serum is to provide the skin with that extra boost it needs, depending on the skin concern. 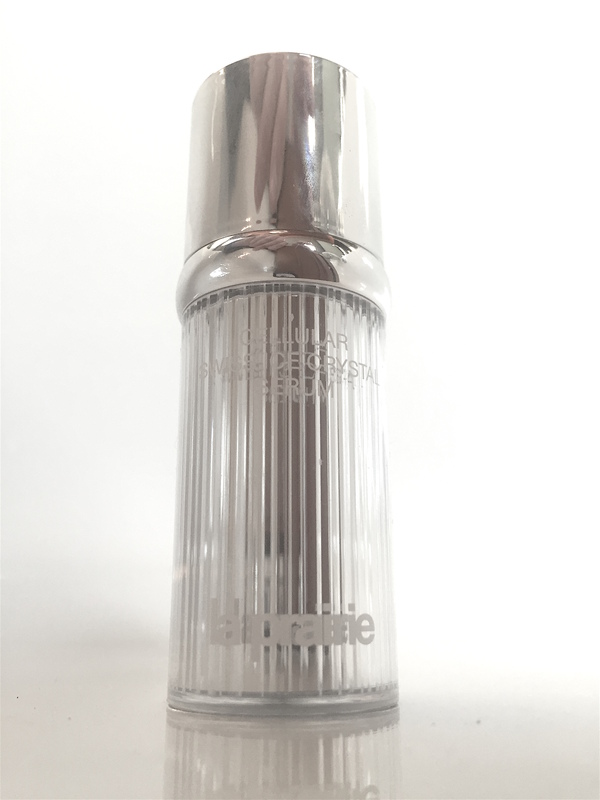 La Prairie’s Cellular Swiss Ice Crystal Serum incorporates the Ice Crystal Complex, and is perhaps one of the most concentrated products containing the complex. In short, it delivers the boost the skin needs to defend itself against harsh conditions, as well as increasing microcirculation, providing curative properties, and reinforces the skins protective barrier. It is wonderfully easy to apply, gliding over the skin and it soaks in very quickly. It also has a very pleasant scent, unlike some other serums which may work wonders but makes you end up smelling like you just wondered in from doing some gardening. I’ve said it many times before, but I can’t stress it enough. Keep your skin moisturised and apply an SPF during the day. It is so important that your skin is fully hydrated at all times to keep fines lines and wrinkles at a minimum. The Cellular Swiss Ice Crystal Cream is a moisture-rich cream that melts almost instantly into your skin, immediately helping it to restore its youthfulness. It works to fortify your skin’s resilience, and used in conjunction with the other products in the collection, builds a better and stronger resistance to skin-aging. You may think that all moisturisers are pretty much the same, and to a degree you would be right, they all mean to maintain the correct levels of moisture in the skin, however not all moisturisers are created equally, and some are far better in delivering the ingredients needed to boost the skin. The Cellular Swiss Ice Crystal Cream is one such product which I must rate as being one of the best moisturisers I have ever used (and probably will ever use). Then for those of us prone to use our eyes more expressively than others, fine lines grow into crow’s feet a lot faster than most. In addition to a moisturiser, eye creams are a good idea to provide the very delicate and thin skin around the eye area with the assistance it needs. The Cellular Swiss Ice Crystal Eye Cream may be an extremely lightweight cream, however it certainly does not lack in any of the formulation or strength of the collection. This soft and luxuriously smooth cream targets those dark circles, puffiness, dryness, and lines instantly. Now, I do not pretend to have a particularly stressful life, however I do believe that the stress we have always seems worse specifically because it is happening to us. Stress is certainly one of those things that may vary from person to person, however it does have a universal consequence of aiding the development and fast progression of premature aging. It is therefore vital that, should you want to slow down the signs of aging or at least age in the way you are supposed to, that you should start investing in products that do more than just the minimum. Very sadly, the products I was given are now all used up (#SadFace), and I have come to understand and appreciate the warning from the brand manager that I would probably become addicted to it. Very true, I am. I have learned that the Swiss usually do not do anything in half measure, and they have the highest expectation when it comes quality products and/or services. 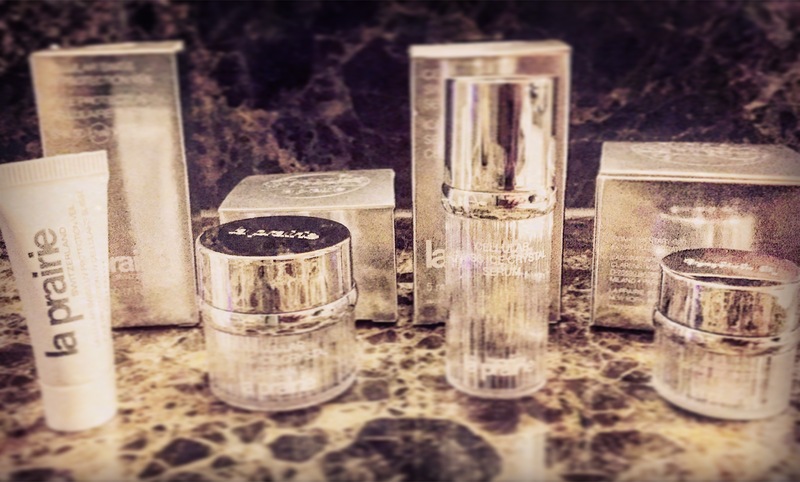 As a Swiss brand, La Prairie prides itself on being at the pinnacle of the skincare pyramid, and they have certainly earned it. There is a reason that the first class amenity kit on SWISS flights includes La Prairie products – those people who have an exceptionally high expectation of the products and services that they use, usually only want the best – and are willing to pay for it. 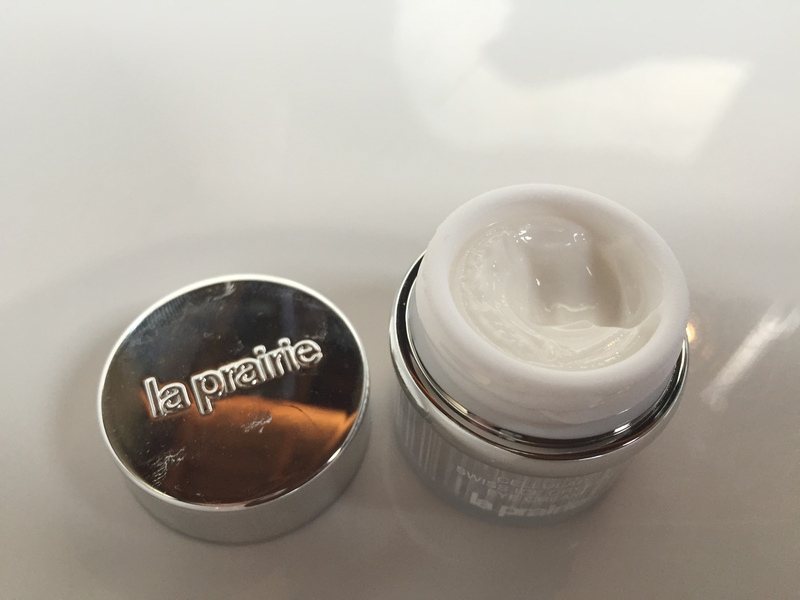 For me, La Prairie is fantastic. Its simply luxurious, and my skin have never looked this good. Many of the fine lines and wrinkles are less visible, the skin looks and feels more vibrant, I have a much more even and healthy looking skin tone, and overall I feel that I have skin that is better prepared to tackle the challenges of living in Johannesburg (and periodically Cape Town). Two better looking, and more luminous thumbs up from me!